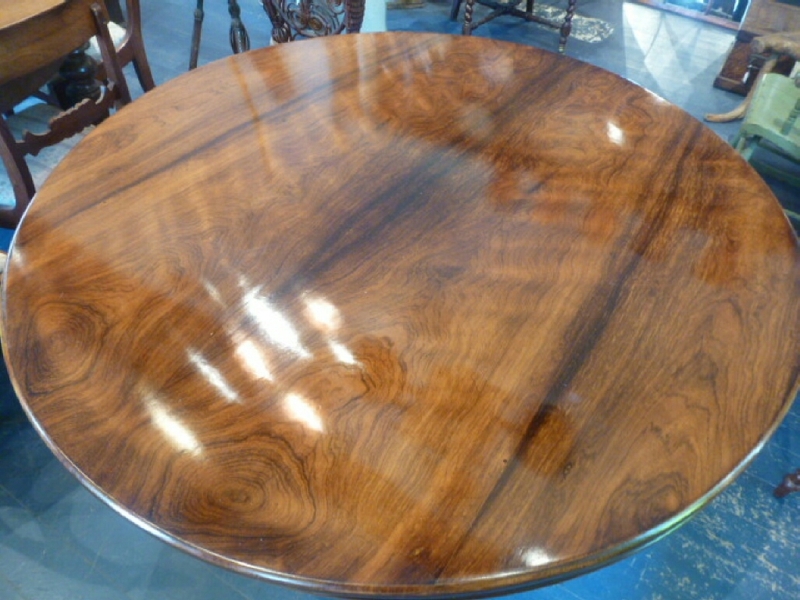 This table is truly one of the most spectacular looking tables I have seen in a long time. 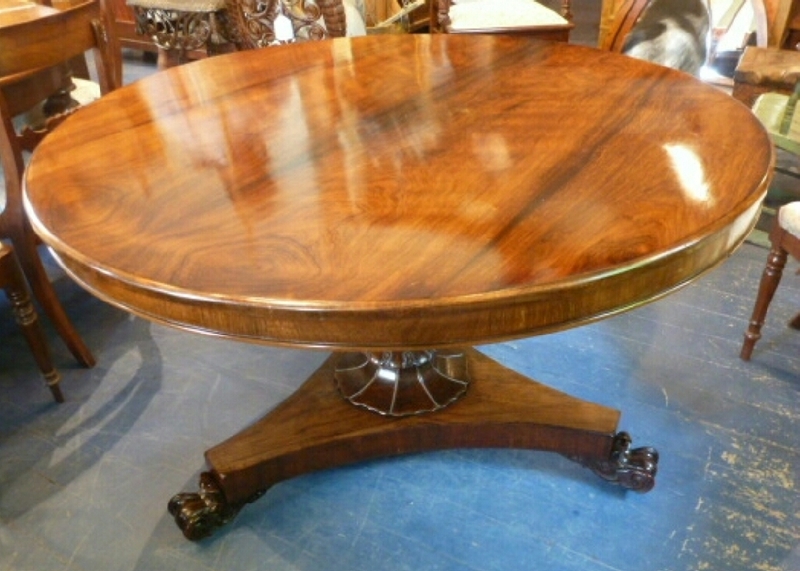 It is a 50 inch rosewood pedestal, round table, made in England in the mid 19th century. 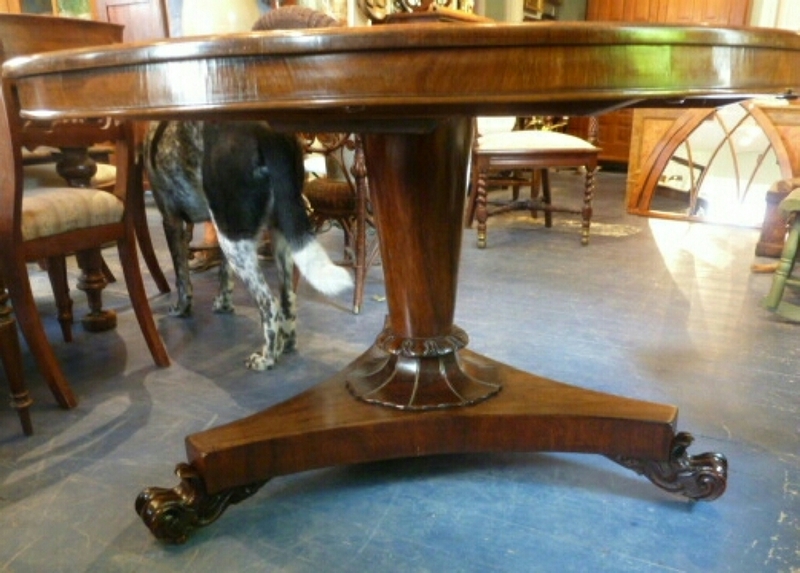 The table is French polished and ready to go.